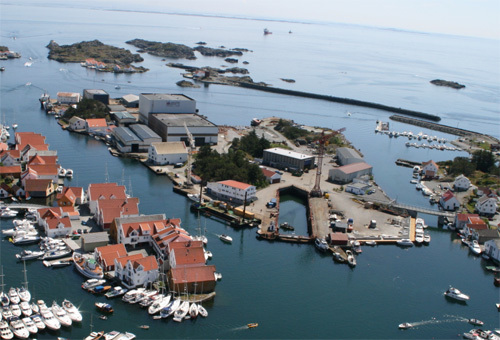 Skudeneshavn (also known as Skudeneshamn or simply Skudenes) is a town in Karmøy municipality in Rogaland county, Norway. 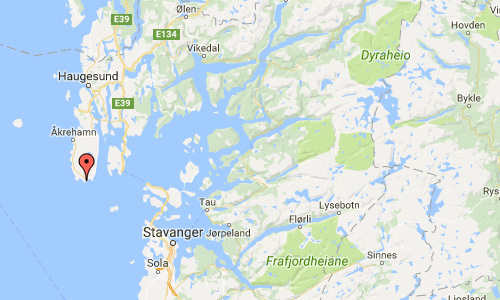 It is located on the southernmost tip of the island of Karmøy at the entrance to the Boknafjorden and Karmsundet strait. The town is part of the traditional district of Haugaland. 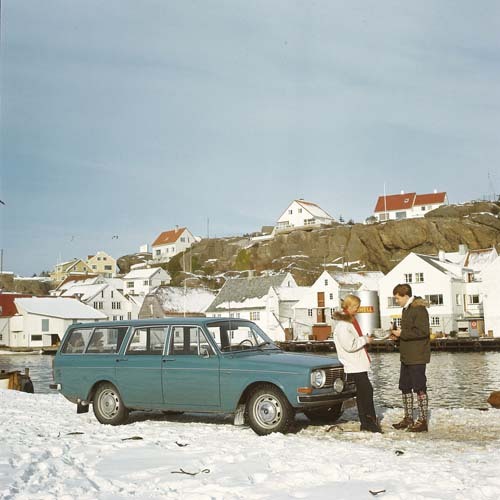 The location of these Volvo photos from the sixties are identified as being made on the Steiningsholmen island which is now connected with the mainland through a bridge. 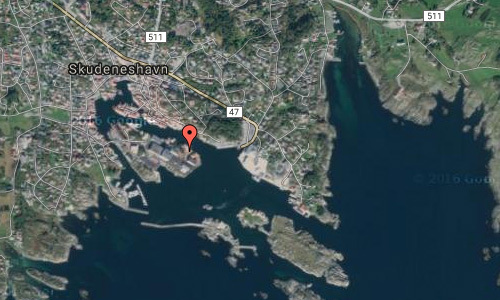 The village of Skudeneshavn was declared to be a “ladested” (port town) on 10 February 1858. Since towns were not allowed to be part of a rural municipality, Skudeneshavn was removed from the municipality of Skudenes, and it was established as its own urban municipality. 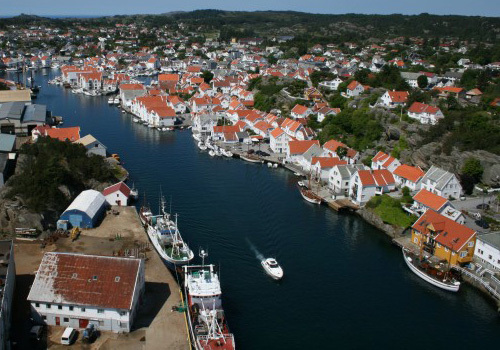 Initially, Skudeneshavn municipality had 1,209 residents. 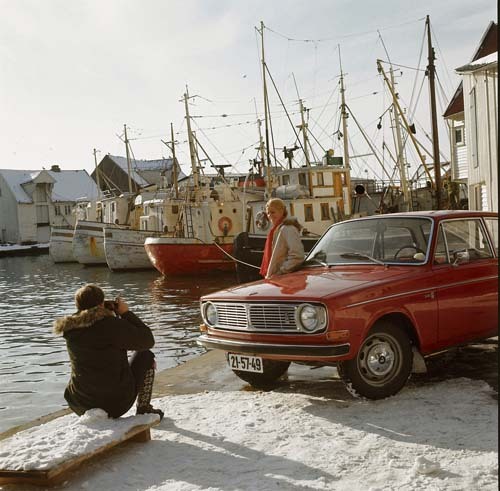 On 1 January 1965, the town-municipality of Skudeneshavn was merged into the newly formed municipality of Karmøy (along with Skudenes, Avaldsnes, Stangaland, Kopervik, and Torvastad). 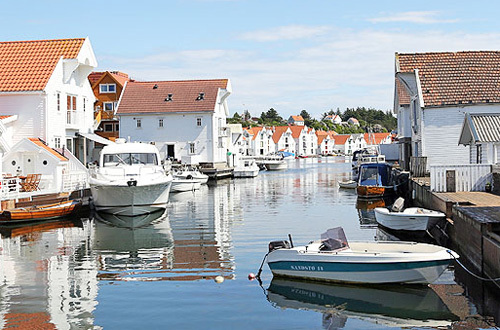 Every year, Skudeneshavn hosts a “boating” festival known as Skudefestivalen. It usually runs for four days (Thurs, Fri, Sat and Sun) at the end of June or beginning of July (it is a ‘moveable’ date). 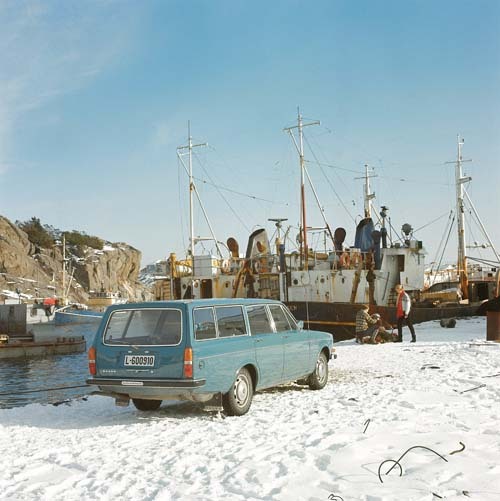 The festival is the largest gathering of coastal culture in Western Norway, with boats of all categories – old wooden boats, vintage boats, modern boats, sailing boats, tall ships – the town is full of life around the harbour – both on land and on water. Markets stalls are set up in the Town Square. Craftsmen demonstrate handcrafts from olden days connected to sea and shipping. Boat builders, ship models, old engines. 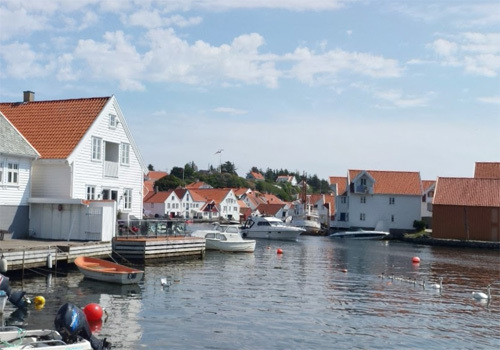 An art exhibition in Søragadå – the main and narrow street in “Old Skudeneshavn” is held with a new festival artist chosen every year. Visitors can see the exhibitions in “Bytunet” in the old part of town. Entertainment is provided in the daytime – and in the evenings in the festival tent featuring national and international artists and in the many sea houses Celtic music, blues and middle-of the road pop. Travelling amusement rides and arcades usually time their visits to coincide with this popular festival, providing extra enjoyment for younger children and teenagers. Every year about 35,000 people visit the festival and it gathers more than 600 boats. More information at no.wikipedia.org, en.wikipedia.org and www.skudefestivalen.no.